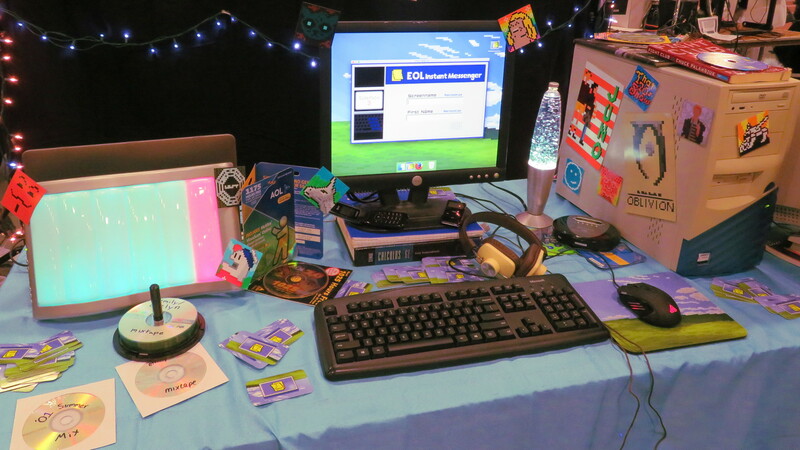 This past weekend was the Boston Festival of Indie Games, and with GameCola HQ’s recent move to Massachusetts, the Editor-in-Chief was in attendance! 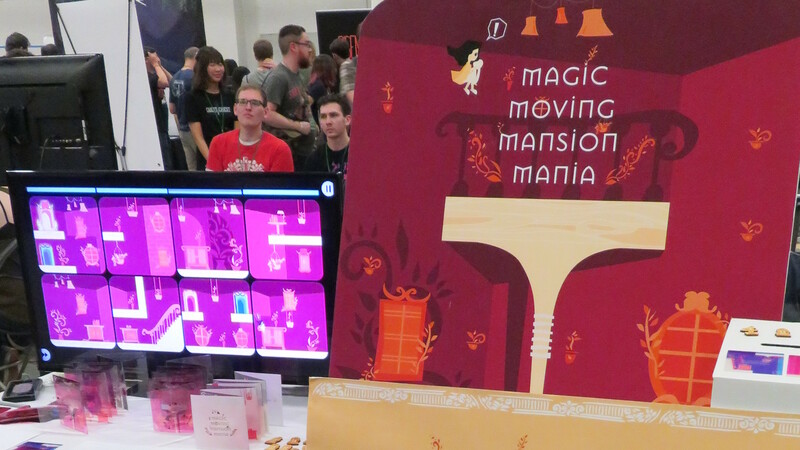 For those not in the know, Boston FIG is an annual one-day showcase for independent creators to show off their games. 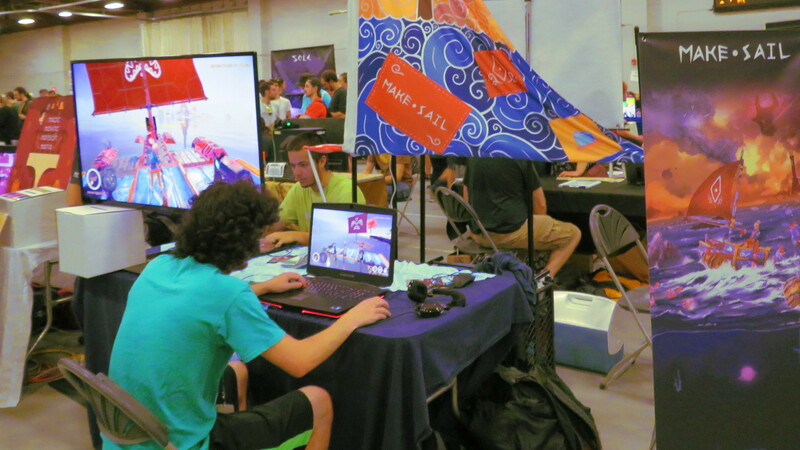 The event curates games of both the tabletop and video variety, and dozens of developers of all team sizes were spread out across the two floors of the MIT Johnson Athletic Center. Primarily there for videogames, I was really impressed by the diversity in terms of gameplay and team composition. 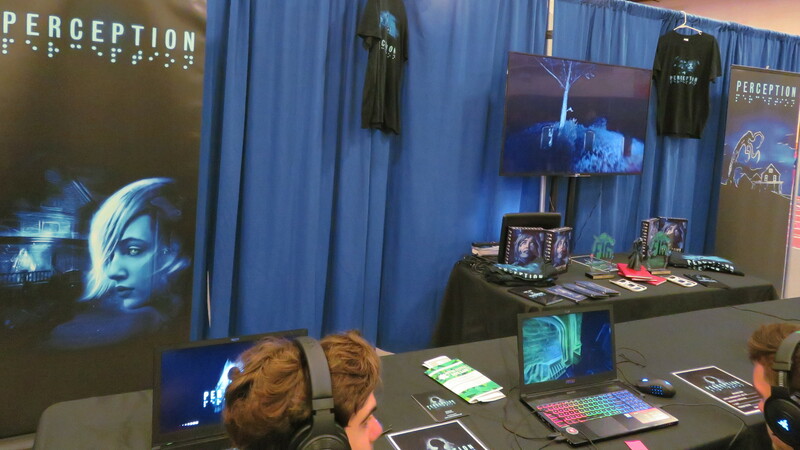 Games like Perception featured t-shirt-wearing team members, multiple high-end gaming laptops set up in front of a large screen showing off gameplay, and a table with physical game copies, t-shirts, and multiple awards. On the other end of the spectrum, games like Velum or How To Survive A Boston Blizzard (GameCola’s pick for “Most Franzenesque”) had less extravagant, more personal tables to meet the devs and try the games. 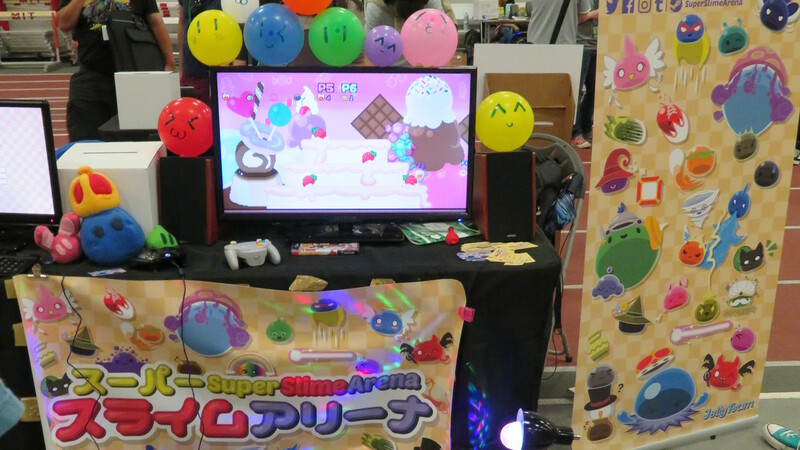 Two games tried to steal the spotlight with over-the-top booths: Emily Is Away Too—followup to GameCola staff favorite Emily Is Away—went all the way with the mid-2000s theme, while Super Slime Arena made a living room in the middle of the convention with dozens of controllers spread across the floor. Not pictured: The developer beating everyone using the DJ Hero turntable controller. 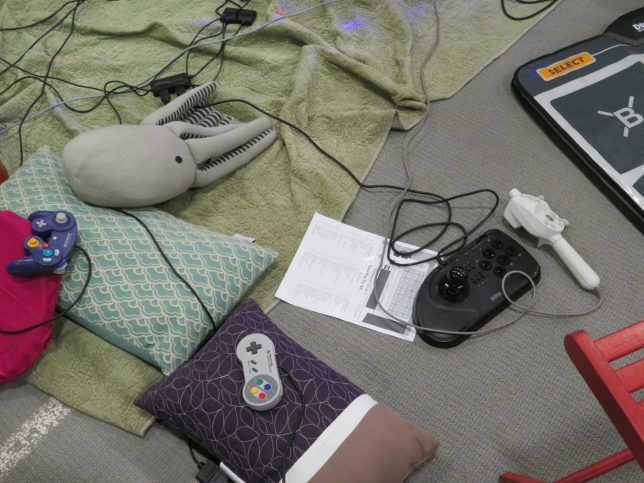 Speaking of dozens of controllers, I saw a lot of creativity in the gameplay department. From the cooperative two-player Static Ops, featuring one player guiding a spy through a base with the screen and keyboard while another player listens for codes with headphones and the mouse, to Blind Drive, a surreal sound-only game about…driving into oncoming traffic while blindfolded (and trying to hit ice cream trucks). Of course, there were plenty of more conventional games. Renaine, the side-scroller roguelike you may recognize as Super Knight Quest, launched on Kickstarter in time for Boston FIG. One of my favorites was Felongeist, a puzzle game that lets you possess people to remove your body from a hospital. It was really inspiring as a fellow developer to see everyone’s projects. I have to hand it to the event staff for bringing together such a wide array of developers. I’ll definitely be going next year—and if I can keep this inspiration up, maybe I’ll be showing something myself! And if you’re interested in seeing the full list of games shown at this year’s event, be sure to see the list on the Boston FIG website.